The youngest child appears to be a little genius as he diligently paints a picture. 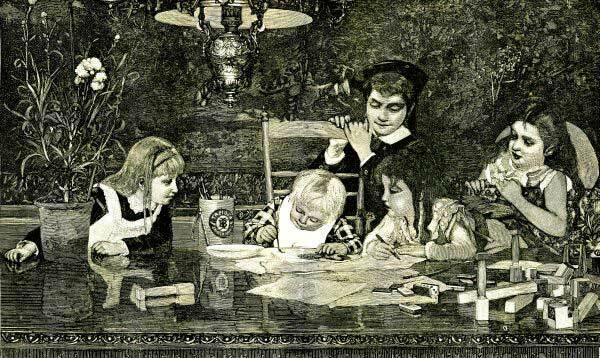 The older children watch the young master at work in this lightly tinted vintage drawing. The quality of this drawing is such that it could have easily been a painting and it would definitely make a dramatic addition to a notecard, scrapbook page or other crafting project. It is from the November 11, 1879 edition of the children’s magazine Harper’s Young People.